Benevolent Zen is a sitting group of the Greater Boston Zen Center (GBZC). GBZC, located at 288 Norfolk Street, 2nd Floor, Cambridge, Massachusetts, is a welcoming community of Dharma practitioners. Our lineage roots are in the Japanese Soto tradition through Jiyu Kennett Roshi and the Soto reform Harada-Yasutani koan curriculum through John Tarrant Roshi. Our teachers offer guidance in all forms of Zen meditation including breath practices, koan introspection, and the subtle art of shikantaza or just sitting. The Greater Boston Zen Center offers introductory orientation classes by appointment, a weekly zazen (Zen meditation) schedule of morning and evening sits, as well as a monthly Liturgy study group, and Dogen study group. We offer all-day sits (zazenkai) approximately once a month, "commuter meditation retreats" consisting of two all-day sits in a row, and offsite residential retreats multiple times a year. 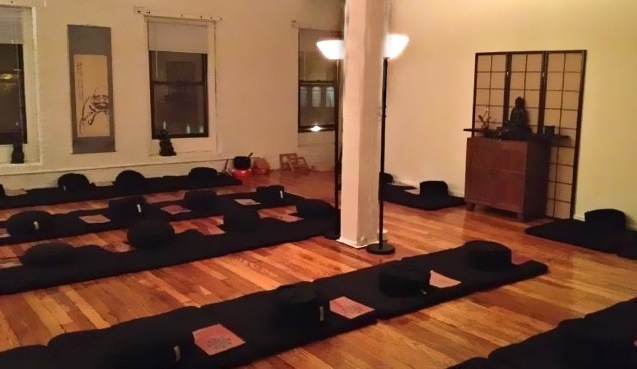 We also offer a full schedule of weekly programs, including Zen meditation, Zen liturgy, and meditation instruction. The Greater Boston Zen Center is under the spiritual direction of committee of Zen teachers consisting of Sensei Kate Hartland, Sensei Steve Wallace, Osho Laura Wallace and led by our Spiritual Director Roshi Josh Bartok.